Master Business & Life Coach, MS., ACC., PhC. Coach Tina Marie St.Cyr, President of Bonfire Coaching and ranked as the #1 Life & Business Coach in Houston many years in a row. brings her 25+ years of business strategy consulting, life counseling, and intense study of the human mind and spirit to Innate Chiropractic Healing Center. The Bonfire Coaching Team of professionals, certified by Tina Marie have specialties that help those just beginning in a journey with a coach to those well seasoned in utilizing expert mentorship in advancing their lives and businesses. 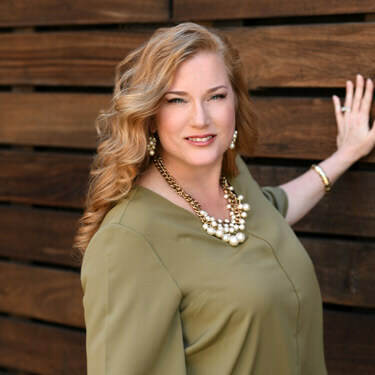 Tina Marie leads a team of coaches who assist our clients in aligning their core competencies & divine gifts with their untapped ability to create financial abundance, health, happiness and connecting relationships. Tina Marie’s biography is a true adventure and has led her to amassing well over 65,000 hours in leading businesses, reaching values of 10M and more, and working with extraordinary people, like you, all over the world. Tina Marie’s pursued the best of the best and sought out their teachings so that she can bring the wisdom of greats to everyone she serves. She has worked alongside many greats in the human development industry, such as, Tony Robbins, Dr. Donald Epstein, Chloe Madanes, Mary Morrissey, Bob Proctor, Zig Ziglar, Richard Branson, Deepak Chopra, Marianne Williamson, Caroline Myss, Wayne Dyer, Alok Hsu Kwang-han, and many more. Tina Marie has authored four books, developed her own signature programs and is requested to speak on TV, radio and at forums around the world. Tina Marie and her team of coaches are available for individual, executive, family, team and corporate coaching programs. The best way to get started is to visit her “Are You Ready” form online. Her blog attracts thousands of subscribers, and her online downloads reach millions. Request a Complimentary Strategy Session for your life or business today.